Every aspirant who sets out on a spiritual path must remain ceaselessly on his guard so as to face a particular danger that lies in wait for him at every step and may cause him to fail practically from the beginning of his adventure in an invisible country whose laws belong to a Universe that he cannot hope to understand with the state of mind from which he undertakes this journey. He must keep watch and remain extremely vigilant if he does not want to lose his way and if he sincerely desires to know himself and know the Reality behind all visible phenomena, whether they concern living beings or apparently inert objects. He must, to begin with, accept the fact that there is in every man and every woman—almost without exception—from their most tender infancy, a tendency to a certain passivity of mind, a sort of particular inertia that remains hidden from them because of its subtlety and that, deep down, hardly differs from that of an animal. Nor can the seeker—despite a certain degree of enthusiasm that he may feel at the beginning of his spiritual journey—escape this problem. A beginner on the path must understand that just because, driven by his spiritual aspirations, he feels at a given moment a certain enthusiasm, that does not mean that he will be free from confronting this fundamental problem. Passivity lies in wait for him at every moment, just like a spider eagerly awaiting its prey. Like anyone else, the aspirant also carries within his being the seed of this tendency that interferes in all that he does in external life. 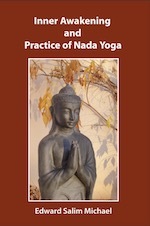 Without being conscious of it, most of the time he seeks only ease—even when he sets himself to a spiritual practice. He must learn to carry within him, throughout the whole day, a particular state of questioning. It is a silent and vivid state of questioning, not formulated in words, that, insofar as possible, will help him to create within himself the beginning of an awakening—which is indispensable if he wants to begin to know himself and know the state of passivity in which he lives ordinarily. Unless someone succeeds in kindling in the aspirant a fervent desire to extricate himself from the particular torpor in which he is immersed—which, without him realizing it, constitutes a major obstacle on this route—and unless someone takes him by the hand to guide him on this path that is so inhabitual and unknown (a narrow, hazardous path that he cannot discover by his own means), he will never come to see that, while pursuing his various spiritual practices, he must continually engender burning questions within himself in order to liberate certain energies in his being that can stimulate his efforts and keep them alive. He must ask himself the kinds of questions that, ordinarily, cannot arise within him without his participation—interrogations so profoundly troubling that they drive him to be intensely inwardly awakened and absorbed. – “Through what mystery do the different organs of my body, each of which has its own life, work? All these questions and many others must remain suspended in the seeker’s mind and he must deny himself any commentary about them. They must constantly accompany him so as to make him intensely awakened and vigilant, for fear of gravity regaining strength within him and once more pulling him down, into his habitual state of mental passivity. An aspirant on the path must, like a great scientist, become a “Seeker” in the true sense of the word if he wishes to accede to a very particular state of being that will one day allow him to break down the walls of the prison that his profane self has locked him in and to advance towards the vast stretches of Light of his Celestial Being.